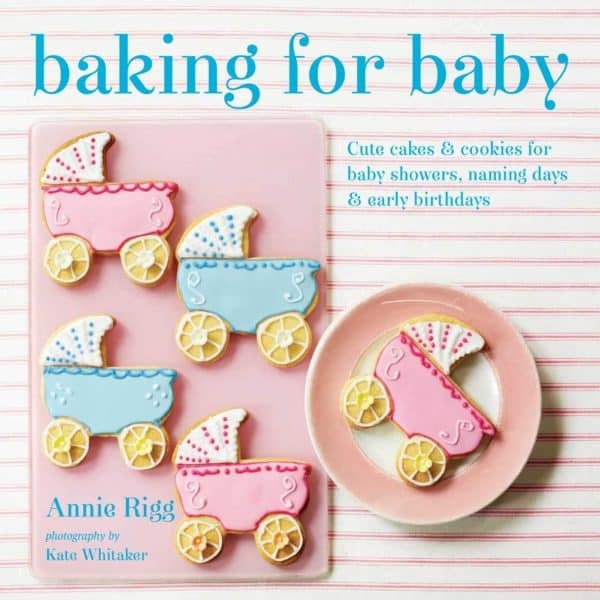 Whether for a baby shower, a christening or those magical early birthdays, there are so many cute and beautiful creations to choose from in this book by baking queen Annie Rigg. There are marbled pink or blue cupcakes or baby-bottle cookies for a fun baby shower; a stunning daisy-chain cake or pretty, easy-to-make, rich, decorated chocolate cake for a christening or naming day ceremony; various treats featuring teddy bears, ducks, pirates and sailboats for a child’s first, second or third birthday. Annie offers more than 50 adorable ideas in this book to inspire you to make cakes, cupcakes, cookies and treats for your own or someone else’s pregnancy or baby. With step-by-step photography and deliciously easy recipes, you’ll have everything you need here to celebrate the arrival of a little one.